The Washington Evaluators is managed by a Board of Directors as well as dozens of volunteers. Five voting Board positions are elected (unless filled by appointment due to vacancy). The Presidential cycle is three years, with the elected individual serving first as President-Elect, and then assuming the role of President, and then Past President. The Treasurer and Secretary positions are held for two years. Three other voting Board positions are appointed by the President and confirmed by the Board. The 2019 Board members, as well as other Washington Evaluators leaders and volunteers, are listed below. Giovanni Dazzo serves as the lead for evaluation in the U.S. Department of State’s Bureau of Democracy, Human Rights and Labor, Office of Global Programs (DRL/GP). In this role, he advises staff and grantees on program design and evaluation, oversees evaluation contracts and research grants, and designs and conducts internal studies. Prior to joining DRL, he served as an internal evaluator at Freedom House, where he designed systems to evaluate advocacy campaigns and emergency financial assistance for at-risk human rights activists. 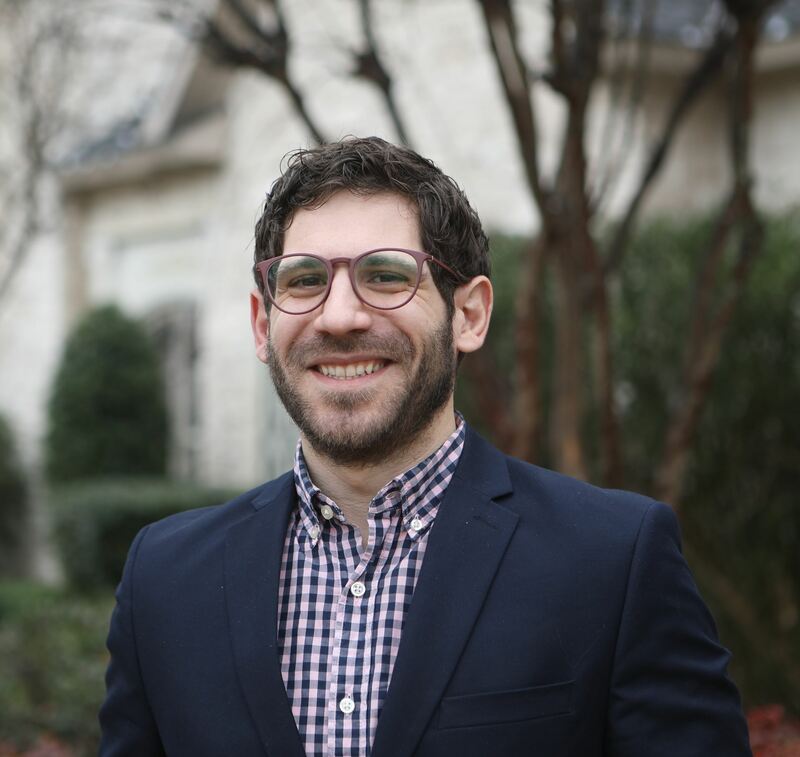 Before moving to Washington, D.C., Giovanni worked in Italy and Cambodia, conducting applied research and evaluation for public sector clients, and bilateral and multilateral aid agencies. He is currently a doctoral student at George Mason University's College of Education and Human Development, specializing in research methodology. He holds a bachelor’s degree from the University of California, Los Angeles and a master’s degree from Bocconi University’s School of Management in Milan. He has been an adjunct lecturer at George Washington University's Elliott School of International Affairs, teaching a graduate-level course on the evaluation of foreign assistance programs. Prior to his term as President of Washington Evaluators, Giovanni held several leadership positions: WE Program Committee Chair for two terms, Chair of the Local Arrangements Working Group for the 2017 AEA Annual Meeting, and Program Chair and Co-Chair of AEA's Democracy and Governance Topical Interest Group. Dr. Patricia Moore Shaffer is the deputy director for research & analysis at the National Endowment for the Arts (NEA) and serves as agency lead for evaluation and performance measurement. She also holds responsibility for coordinating the agency’s strategic planning process. Prior to joining the NEA, Patricia served as the evaluation manager for NASA’s Office of Education and as vice president for research & development at the Educational Policy Institute. Patricia also owns a small evaluation firm that specializes in educational evaluation studies and evaluation capacity-building. As a federal evaluator and as an independent consultant, she has led a wide range of educational and arts program evaluations, ranging from national evaluation studies conducted for federal agencies including the Library of Congress and NASA to smaller-scale research and evaluation studies for state agencies, school districts, and nonprofit organizations. She also serves as treasurer for the Consortium for Research on Educational Assessment and Teaching Effectiveness. Patricia earned a Ph.D. in Educational Policy, Planning and Leadership at the College of William & Mary, a M.A. in Curriculum Studies at the University of Toronto, and also holds a bachelors degree in the visual arts. Stephanie Cabell has served as the staff lead for evaluation in the Bureau of Budget and Planning at the US Department of State since November 2006. Previously, she served for 17 years as a performance specialist at the U.S. Department of Labor’s Employment and Training Administration. She was hired by the State Department in 2006 to help grow the Department’s then nascent efforts to implement programmatic evaluations as a performance management tool and as a vehicle to learn what’s working and not working in foreign affairs programming. She was part of a team that drafted a Department-wide evaluation policy that was socialized among the Department’s 40+ bureaus and offices and eventually signed by the Deputy Secretary of State in February 2012. She has served as the staff lead to organize the Department of State annual Evaluation Institute (conference) since 2009, the mission of which is to highlight effective practices and methods in foreign affairs evaluations and to be a forum to address enduring topics, such as how to evaluate “diplomacy” or how to implement frameworks for evidence-based budgeting and decision-making. Beeta Tahmassebi is the Director of Strategic Initiatives at EnCompass LLC. In addition to running operations for The Evaluators’ Institute (TEI), a globally recognized evaluation training center, she oversees EnCompass’ Knowledge Management and Communications team, and manages evaluations and capacity-strengthening projects around the world. Ms. Tahmassebi has had the privilege of working as an evaluator across a wide range of client systems and organizations, from groups such as Save the Children and the Bill & Melinda Gates Foundation to government agencies such as USAID, the State Department, and the Institute of Museum and Library Services, to multilateral institutions such as the World Bank, UN Women, and the World Food Programme. Ms. Tahmassebi holds a Bachelor of Arts from Johns Hopkins University and a Masters in Business Administration (MBA) from Georgetown University’s McDonough School of Business. In addition to her work with Washington Evaluators, Ms. Tahmassebi is a frequent presenter at American Evaluation Association conferences, and a member of the SIKM Leaders Community. 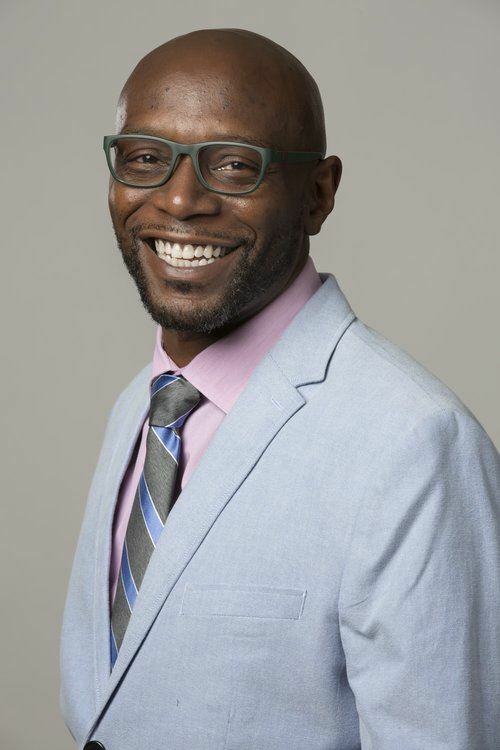 Kevin Jones serves as Executive Director of UCHAPS, a national coalition of health department and community members committed to improving public health and reducing HIV infections through collaboration based on key targets in the US National HIV/AIDS Strategy. His extensive work in public health encompasses health advocacy, academic and community research, performance measurement and evaluation, and nonprofit executive leadership. For 15 years, he has worked to build the capacity of nonprofit organizations to use data and participatory community engagement and involvement to improve practices and inform strategies. Prior to joining UCHAPS, Kevin served in leadership roles at the D.C. Promise Neighborhood Initiative, Metro TeenAIDS and the University of Pennsylvania’s Perelman School of Medicine. Kevin is from Detroit, Michigan. He is a proud graduate of the University of Michigan and received master's degrees from the University of Massachusetts-Amherst and the University of Pennsylvania. Melissa C. Chiu is Director of the Statistics and Analytics Service in the Office of Enterprise Integration at the Department of Veterans Affairs. She oversees statistical products and analyses on veterans and their well-being, working with stakeholders from government, private sector organizations, and the public. Currently, Ms. Chiu also oversees VA enterprise-wide data management, governance, and open data efforts. 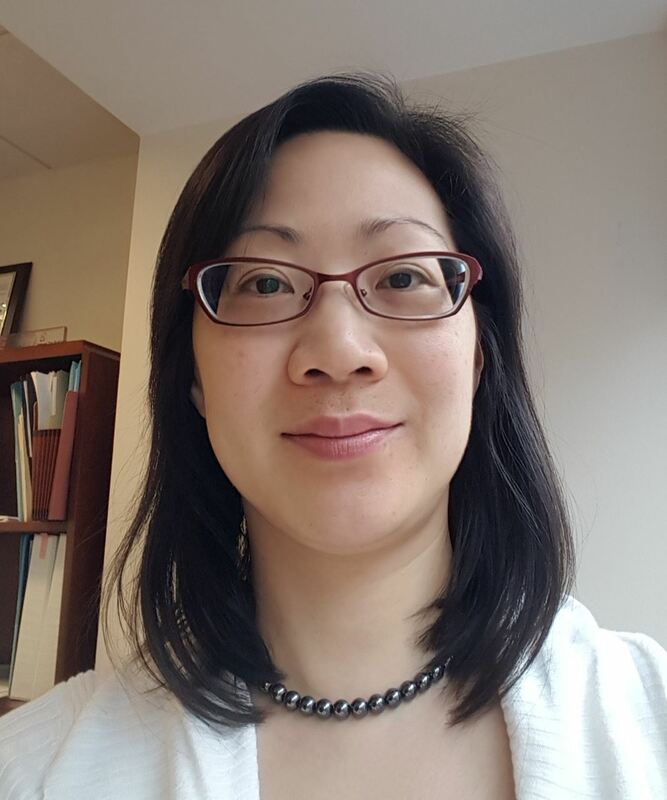 Prior to joining VA, Ms. Chiu worked for the Census Bureau, where she expanded and promoted the data linkage infrastructure to increase the use of integrated data in high quality research for evidence-based decision-making. She also oversaw data production, analysis, dissemination, and methodological research for varied subjects, including labor force and occupation; race, immigration, and gender; veterans; commuting, transportation, and disability; immigration and geographic mobility; and administrative records. She also briefly served in the Office of Management and Budget’s Statistical and Science Policy Branch, working on federal statistical policy, particularly regarding the use of administrative records for statistical purposes. Ms. Chiu holds graduate degrees in sociology (University of California, Los Angeles) and statistics (University of Washington), and bachelor’s degrees in mathematics and in statistics (University of Michigan). Natalie Donahue is currently the Chief of Evaluation in the Department of State’s Bureau of Educational and Cultural Affairs (ECA) where she directs the monitoring and evaluation of educational and exchange programming. She also serves as an adjunct at American University in the School of International Service. Previously, Natalie served as a Senior M&E Specialist for the Bureau of Near Eastern Affairs' Assistance Coordination Office (NEA/AC), where she was responsible for advising staff and grantees on program design and monitoring activities, designing and managing evaluations, and leading capacity-building efforts within the Bureau. Prior to joining the Department of State, she served as DevTech Systems, Inc’s Director of Business Development, where she provided technical assistance on various Department of State M&E-related projects. A proud Columbus, Ohio native, Natalie has a Master's in Public Administration and a Bachelor’s of Science in Business Marketing – both from The Ohio State University. 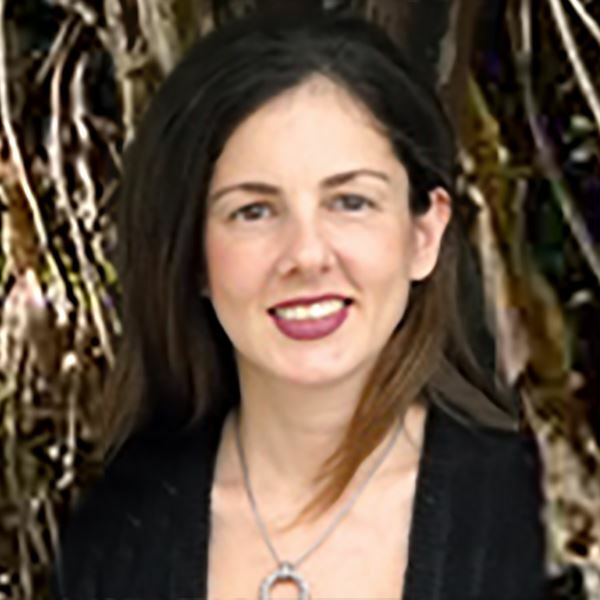 Dr. Valerie Caracelli is a Senior Social Science Analyst in the Center for Evaluation Methods and Issues at the U.S. Government Accountability Office. Valerie assists in conducting congressionally requested studies and consults with GAO Teams on evaluation design issues. She has published in leading evaluation journals and has served on a variety of editorial review boards. She received her undergraduate degree in Psychology in 1979 and her Ph.D. in Developmental Psychology from Cornell University in 1988. Valerie has been a member of the American Evaluation Association since its founding. On the AEA Board of Directors from 2007-2009, she served as liaison to the Ethics Committee and helped develop additional case study training materials on the Guiding Principles for Evaluators. She recently received the 2016 AEA Robert Ingle Service Award. Valerie has been active in the Washington Evaluators, one of AEA's first local affiliates, serving as board member and in other positions for over 20 years. Dr. Tamarah Moss is an Assistant Professor with Howard University School of Social Work. She has experience in HIV prevention and behavioral interventions across the life span, adolescent pregnancy and parenting as well as health and social services delivery with marginalized communities. Dr. Moss has also worked on evaluation-related activities with Advocates for Youth, American Psychological Association’s Behavioral Social Scientist Volunteer Program, Bahamas AIDS Foundation, Broward County Health Department, Planned Parenthood of South Florida and the Treasure Coast, UN Population Fund and USAID. Dr. Moss was recently a Fellow with the American Evaluation Association’s (AEA) Minority Serving Institutions Fellowship Program, and is as a member of the AEA International Working Group. 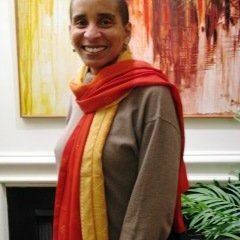 She is currently also a member of the Caribbean Evaluators International and teaches courses in community practice, research methods and evaluation at the graduate level. Dr. Emily Eisenhauer is a post-doctoral fellow in the Office of Research and Development of the U.S. Environmental Protection Agency. She works to further the integration of social and environmental science in EPA's research including mixed-methods approaches, translational science, and evaluation. She has a PhD in Sociology from Florida International University in Miami where she conducted her dissertation research on social vulnerability to climate change and led research collaborations with community based organizations on state and local policy issues including affordable housing, employment, housing, and environmental justice. At the University of Miami Office of Civic and Community Engagement she developed research and programs on affordable housing in collaboration with public, community based, and academic partners, including the development of the Miami Affordability Project, an interactive, on-line mapping tool for affordable housing preservation. She has lived in Germany and Venezuela and was at Peace Corps volunteer in Gansu, China. Emily is an independent consultant based in D.C. who brings over nine years of experience leading project management and monitoring and evaluation (M&E) efforts for human rights and international development programs. She currently specializes in project design and proposal support, performance management evaluations, and organizational development. She utilizes skills and perspectives developed through prior work at U.S.-based international NGOs and for a U.S. donor agency. Emily is well-versed in a variety of global programs with a longstanding regional focus in Latin America. She holds a bachelor’s degree from the University of Rochester and a master’s degree from the School of Public Policy at the University of Maryland, College Park. Dr. Donna M Mertens is Professor Emeritus at Gallaudet University, a university with a mission to serve Deaf and hard of hearing students. Mertens developed the transformative approach to evaluation as a response to concerns raised by members of marginalized communities about the harm done when evaluations are designed without considering issues of discrimination and social justice. Mertens published Mixed Methods Design in Evaluation (2018) with Sage and Program Evaluation Theory and Practice (2012) with Guilford Press. She served as the editor of the Journal of Mixed Methods Research for 5 years and chaired the Mixed Methods International Research Association’s task force on the future of mixed methods: challenges and opportunities 2015-2016. She is an active evaluator and currently engaged in the enterprise across a variety of settings. She held long-term leadership positions in AEA, including the presidential position 1997-1999 and the Board 2000-2002. If you'd like to get involved in one of our committees or help with an activity or event, please contact us.